JJB EUROMANGUERAS S.L. 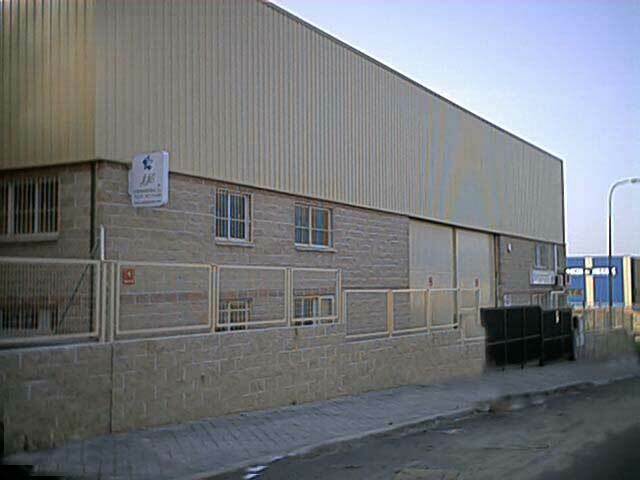 is a young, modern and dynamic, founded in 1996 and located in one of the largest industrial areas of Madrid. With a skilled workforce for the manufacturing, marketing, handling, assembly and repair of hoses, both rubber and PVC, stainless steel and type named "composite" (composite), with experience in the manufacturing sector , industrial distribution and supply more than 30 years. Since our inception we have specialized in Technical Hoses, Fittings as well as in fast, focusing our efforts toward the industry in general, but particularly to industries, food, chemical, oil, NAVAL, HYDRAULIC, MINING, INDUSTRIAL SUPPLIES, HARDWARE STORES and engineering. In the end there where necessary transfer any type of product, whether liquid, solid or gaseous, may count on our experience, confident that we can offer the best solution. 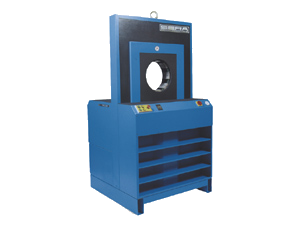 We have the most modern technical means in the industry with latest machinery. The pressing and / or crimping of the hose we carry them out from 1 / 4 "to 10" diameter rubber hoses both as COMPOSITE, also available for hydraulic test bench, and marked the end of the finished product for proper traceability. For us it is paramount that our customers have the utmost confidence in our products, we guarantee that assemble hoses at our facilities, testing and issuing the appropriate certificate of test, and full rolls or Fittings, if requested we issue the corresponding Certificate Quality. All hoses on our workshops, come properly marked and identified for proper traceability. On the occasion of always giving the best products and provide for those who in our view, those who are more accepting of the different sectors we operate in JJB EUROMANGUERAS, we have taken great care the quality of the products we manufacture JJB with our brand, as well as those that distribute or market, selecting those that meet the highest standards of quality and service, while recognizing also the best price. This logically led us to set up an infrastructure in our facilities that meets the necessary requirements to provide our customers with quality and guarantee of the most comprehensive on the market with certified suppliers mostly with international standards ISO-90001. With these thoughts and facts, it was necessary to rely on the quality standards ISO-9001, which are now fully developed in all areas of our business, having obtained the certification according to ISO-9002 standards, and Having adapted to the ISO-9001 and EN-14001. Among other procedures, include the hydraulic test, we perform all the hoses that got in our workshops and to 2500 Bar, by qualified and trained staff, which ensures total sealing or crimping assembly of the fittings to hoses. 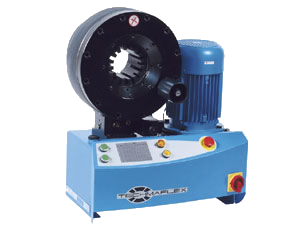 Our tests in low-pressure industrial hoses, up to 150 bar maximum, or hydraulic hoses up to 2500 bar max. This controls the various components used for testing (pressure gauges, pumps, fittings, etc) Pressure Gauges and especially regulated properly identified and checked regularly with identical models "masters", which confirm the possible drifts in measurements, to adopt appropriate rectficaciones. All this means greater control over the proper reception of materials and their storage and subsequent assembly of the components that affect the finished product. The manufacture of the hose is properly controlled by systems most modern production in our factory. 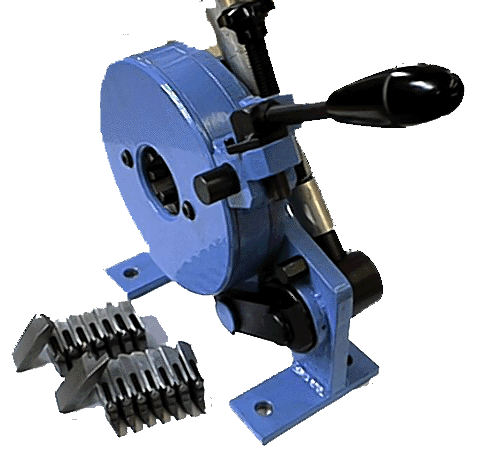 The assemblies are made by any of the known systems, with safety clamps DIN-2817, or slings STANDARD, ligatures with galvanized steel wire for firefighting hoses, pressed or interlocked industrial hose, hydraulic composites and are able to make these 1 / 4 "to 10". Just as we can make welding under argon TIG and MIG. And with virtually all known and used systems, such as GUILLEMIN, CAMLOK (KAMLOK) STORZ, BARCELONA, DIN or ASA FLANGES, AND FITTINGS MALE, FEMALE, DIN-11851, TW, CLAMP, ETC. We can also manufacture any parts in our CNC lathes and parallel, we have built to meet the growing demand and to produce the appropriate terminals for our hoses. Customer per drawing parts, etc.